Translation rates depend on the number of words a document contains. The price per word multiplied by the number of words yields the total translation rate. 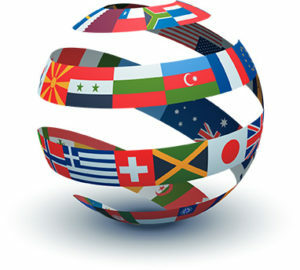 LINGUA-ROM offers from the beginning a big palette of services, all in one stop. We put great emphasis on excellent communication and client satisfaction. We prepare translations for you; our translators are always professionally competent mother-tongue speakers with many years of experience in the field. See our offer for yourself, we find the appropriate solution for every problem. Guaranteed! In our quality management, client satisfaction is the absolute priority, since satisfied clients are the highest goal. Our clients include large companies with international presence, medium-sized and small companies from diverse areas: consumer goods, mechanical engineering, ventilation technology, electronics, media etc. They are manufactures, service providers, retailers or institutions. You can depend on us: We offer you quality & service at fair prices. You will receive our quotes in the form of price per line or per word or as a fixed price. Prices vary according to language combination and degree of difficulty. We are happy to give discounts for larger quantities of text and regular orders. In calculating time needed we calculate an hourly rate according to the language. Minimum Assignment Value: We have a minimum charge depending on the language. For regular clients exceptions can be made.